The new movie War Room isn’t a summer blockbuster. It isn’t even a Labor Day blockbuster. There were no car chases, no explosions, no big name stars, no c.g.i. effects, and it’s production budget was very conservative by today’s standards. None of that matters because, in my opinion, War Room is probably the most important movie of the year. It delivers a message that is, quite frankly, the key to fixing all of our problems. 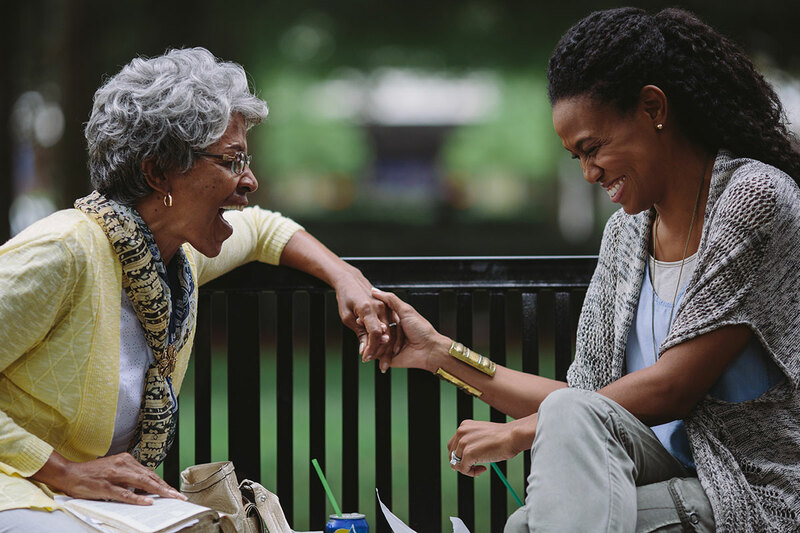 And, what makes War Room doubly wonderful is that it delivers it’s message in such an engaging way. The story of a marriage relationship that is on the verge of collapse that is saved only through the power of prayer, is well written so that it never seems preachy, well acted so that we genuinely care for the characters, and it’s packed with emotion as we viewers ride along with this family on their emotional roller coaster. The wife meets an elderly woman who teaches her how to stop fighting losing battles and instead turn her battles over to God. The wife does what most of us do when we decide to pray for something, she doesn’t take it seriously at first and she feels like she’s wasting her time. But then, with more coaching from her mentor and lots of prayer from this fiery prayer warrior, the wife learns to press into God. She takes her prayers seriously as she also puts God first in every area of her life. Then, we get to sit back and watch God begin to work, tissues in hand wiping away our tears of joy. War Room, the 5th motion picture by Alex and Stephen Kendrick, is a vivid, beautiful illustration of that verse. Go see it. Not only will you enjoy it as a movie, but you’ll also walk out of the theater with real answers on how to handle whatever problem you’re facing. Not that every problem will wrap up as happy and neatly as the ones portrayed in War Room, but any time we make our relationship with God a top priority and give our problems over to Him, he always responds with an inner peace that helps us as he carries us through the storms of life.